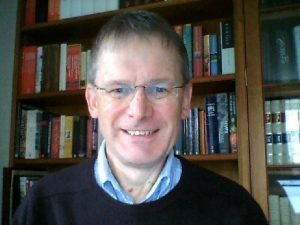 Stephen Laws: Why a Money Resolution with Queen's Recommendation Is Required for a Bill for the Postponing or Cancelling of "Exit Day" | Brexit and Ireland In a post on this blog yesterday, Andrew Denny argued that I was wrong to suggest that a money resolution, with Crown recommendation, would be needed under the Standing Orders of the House of Commons for a provision of a Bill for the purpose of securing the postponement of the expiry of the UK’s Article 50 notification or the revocation of that notification (“a postponing or revoking provision”). He accurately sets out the standing orders and my argument from the paper, written for Policy Exchange, in which I made the suggestion. That argument is that any postponing or cancelling provision would involve (as the published Bills for securing a postponement do) a provision for the postponement or cancellation of “exit day” (within the meaning of the European Union (Withdrawal) Act 2018). That, in turn, would mean the postponement or cancellation of the repeal of section 2(3) of the European Communities Act 1972, which is set by section 1 of the 2018 Act for exit day, that is, currently, for 29th March 2019. Section 2(3) of the 1972 Act is the provision under which the payment of financial obligations to the EU and other related EU payments are charged directly on the Consolidated Fund. Postponing or cancelling its repeal would mean that the payments would fall to be charged directly on that Fund for longer than the existing law passed by Parliament would authorise. The inevitable prolongation of the financial burden on the public revenues would need money resolution cover. His contrary argument rests on the proposition that section 2(3) is currently in force and that expenditure resulting from any Bill that delayed or removed the possibility of its repeal would already be authorised by section 2(3) of the 1972 Act, and so by whatever money resolution supported the Bill for that Act. He also points out that no order has yet been made to bring section 1 of the 2018 Act into force. This contrary argument is clearly misconceived for the following reasons. First, the fact that no order has been made to bring section 1 of the 2018 Act into force is irrelevant in determining its legal effect for financial resolution purposes. Any provision removing the potential to let the repeal take effect on 29th March 2019, or making new provision requiring or allowing it to take effect on a later date, itself creates a greater potential for expenditure and, under the way the rules have always been applied, would be sufficient to create the need for a money resolution. The legal status quo against which the test of whether a provision of a Bill has a potential for giving rise to a new charge on the public revenues is not confined to the statute law that is already in force. It includes everything that has been enacted and could be brought into force in future. There is, however, an even more convincing reason why that fact is irrelevant in this case. Section 1 is not just a provision that may be brought into force. It is a provision that must be brought into force by a defined time. There is a clear legal duty for the Government to bring section 1 of the 2018 Act into force before “exit day”, which (unless delayed under the power in section 20(4) of that Act) means 29th March 2019. The duty is unequivocal and derives from the House of Lords decision in the “FBU case”  2 AC 513. In that case it was held that the Government is not entitled to exercise a commencement power in a way that would frustrate the statutory intention of Parliament. In this case, the wording of section 1 of the 2018 Act makes it absolutely clear that the intention is that (subject only to section 20(4)) the repeal must come into force on 29th March 2019. It follows that existing law provides “a speeding bullet” that removes section 2(3) of the 1972 Act from the statute book on 29th March 2019, subject only to the power for which the 2018 Act already provides in section 20(4). Andrew Denny concedes that a money resolution would be required if the authorisation given by section 2(3) and the money resolution used for that were “time-limited”. Time limiting that authorisation is exactly what section 1 of the 2018 Act does; and section 1 is the law enacted by Parliament. A postponing or revoking provision would extend the time-limit either for a fixed period or indefinitely. Replacing a power for the Government to postpone the repeal with a duty to secure its postponement or cancellation, or giving effect to a postponement directly in a new statutory provision for which a Bill is required, would require new money resolution cover. It has always been the case that the creation of a duty to pay money out of public revenue requires a money resolution irrespective of whether it can be shown that there is already a power to make the payment. It may be, though, that Andrew Denny has a different argument in mind. While section 2(3) has been in force, it has usually been construed for the purposes of financial procedure as “dynamic”, in the sense of being intended to apply to all payments to which it applies – even those arising by virtue of future UK legislation about the EU, such as that passed in connection with the accession of new members. The argument has been that it is the change at the EU level that has increased the expenditure, not the legislation to implement it. The inference that has been drawn is that section 2(3) originally contemplated the possibility of future EU level changes with an impact on the payments to which it related. For that reason, money resolution cover has not always been required for legislation with the theoretical effect of increasing expenditure under section 2(3) as a result of incorporating EU obligations into law. Section 2(3) expressly covers treaty obligations to make payments irrespective of whether they have been incorporated into UK law. So, the incorporation, it was said, did not trigger the charge on the public revenues. The question could arise that the argument also applies in the case of a postponing or revoking provision because the new obligations could be said to arise from the continuation of membership, not any change to UK law. This suggestion, though, is quite clearly wrong, because it disregards the fact that Parliament has already enacted the repeal of section 2(3) of the 1972 Act. Section 2(3), and its original money resolution cover, cannot possibly be construed as having contemplated its continuation in force after the date for its own repeal had been set, so as to cover expenditure arising from a future Bill postponing or cancelling that repeal. That is an argument that would have to “pull itself up by its own bootstraps”. Nor can the charge on the public revenues resulting from postponing or cancelling the repeal of section 2(3) of the 1972 Act possibly be said to be attributable to the EU level change (continued membership), rather than to the proposed change in domestic law to the meaning of “exit day”. The fallacy in the argument is easily demonstrated by asking what would happen if the 1972 Act were repealed from 29th March 2019 but the UK’s membership of the EU extended to e.g. 31st December 2019. There might be treaty obligations to make EU payments during the extension, although there would be no recognition for them as EU obligations in UK law. Nevertheless, the repeal of section 2(3) of the 1972 Act would still stop any payment obligations there were from being a charge on the Consolidated Fund. Any obligation to make payments that survived at the EU level could only be paid out of annually voted sums. They would not, and could not, be treated as charged on the Consolidated Fund. The continuation of membership would not revive a charge on the Fund, because the 1972 Act (including s.2(3)) would not be in force. Only postponing the repeal of the 1972 Act can cause the payments to be charged on the Fund; and it has always been the case that money resolution cover is essential for any provision that sums that would otherwise fall to be met out of annually voted moneys should be charged directly on the Consolidated Fund. This article is not about whether it would or would not be a good idea to try to postpone or cancel the expiry of the UK’s Article 50 notification. It is about whether, if you have rules that support a fundamental constitutional principle, you should construe them consistently with the way they have always previously been understood, or whether you should construe them “creatively” to produce a more congenial result. My own belief is that the latter course is a route to chaos. Sir Stephen Laws KCB, QC (Hon) was First Parliamentary Counsel 2006-2012 and is a Senior Research Fellow at Policy Exchange. In a post on this blog yesterday, Andrew Denny argued that I was wrong to suggest that a money resolution, with Crown recommendation, would be needed under the Standing Orders of the House of Commons for a provision of a Bill for the purpose of securing the postponement of the expiry of the UK’s Article 50 notification or the revocation of that notification (“a postponing or revoking provision”).